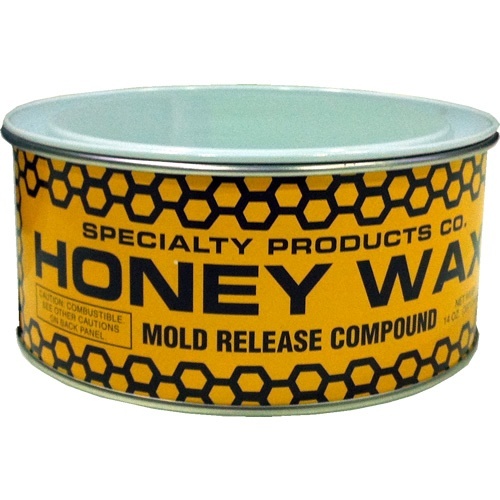 Honey Wax is a unique, high gloss paste wax for use by the reinforced fibreglass moulder as a mould release agent. It is compounded with the purest grade carnauba wax, plus special binders and spreading agents. Honey Wax creates a durable wax surface that remains intact for multiple pulls. Honey Wax reduces man hours due to its exceptional ease of application and buffing. It is an excellent mould release agent providing reproducibility, glossiness, and a hard releasing film which are important to the fabricator. It is easier to apply than other processed waxes; the residual film is also more durable and resistant to abrasion. Delivers an even consistent coat of wax with every application! Save time, labour & money! Leaves a durable wax surface allowing for multiple pulls! Consistent part reproduction with every pull!